There’s so much to get done when planning a big move. Whether you are relocating around the block or across the country, there is a lot of planning, packing and well, just plain decision making to handle. With so much on your mind, it’s easy to let a few things slip through cracks. Just be sure that you do not forget important things like contacting the utility company at either address or changing addresses with your current bills. Once you have a list of contacts, start making those calls. Be sure to let them know when to cut service at your old place (be sure it is after you move out so you aren’t left with no lights, heat or AC while trying to get out) and begin service at your new home (schedule this for a day or two before you arrive). Be sure to pay any overdue bills, security and or connect/disconnect fees beforehand to avoid any unnecessary service interruptions. Also, while you have the provider on the phone, schedule those final meter readings. Depending on the provider, you may need to be present during any final readings, disconnections and/or connections, so it is better to make arrangements while your calendar is still relatively open. What do you do if you are making a long distance move and can’t be there for your connection appointment? If you are moving to a home with a Homeowner’s Association (HOA), they may be able to help out. If not, contact your realtor (or landlord) and see if they can arrange for someone to be at the house or apartment for you. You may think that putting a change of address at the post office is enough to keep your mail arriving on time. It isn’t. First, a postal change of address only lasts so long. After a specific amount of time, the post office will stop forwarding those letters (and bills). Also, having your mail forwarded takes time, and this could mean that you don’t get your bills promptly. A better strategy is to change the address on every bill personally. This can be done online, by phone, or simply by checking the change of address on each bill as you pay it in the weeks before you move. Just be sure you don’t do it too early, or your next statement may arrive at your new residence before you do! Don’t throw out that old phone book just yet – you may need it in the months ahead. 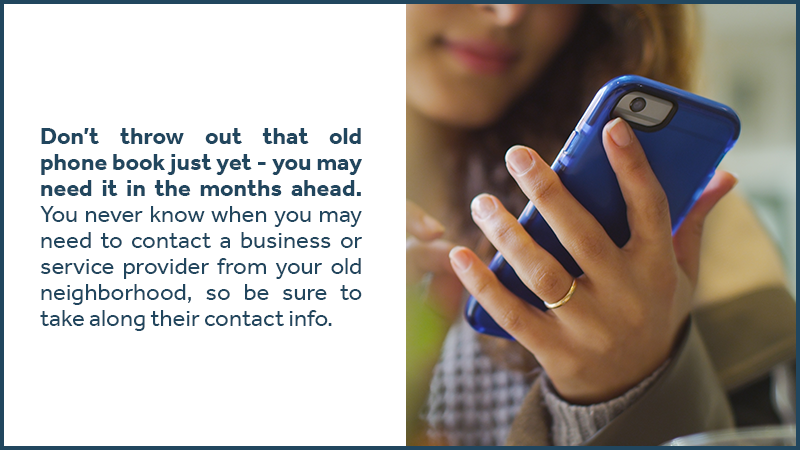 You never know when you may need to contact a business or service provider from your old neighborhood, so be sure to take along their contact info. 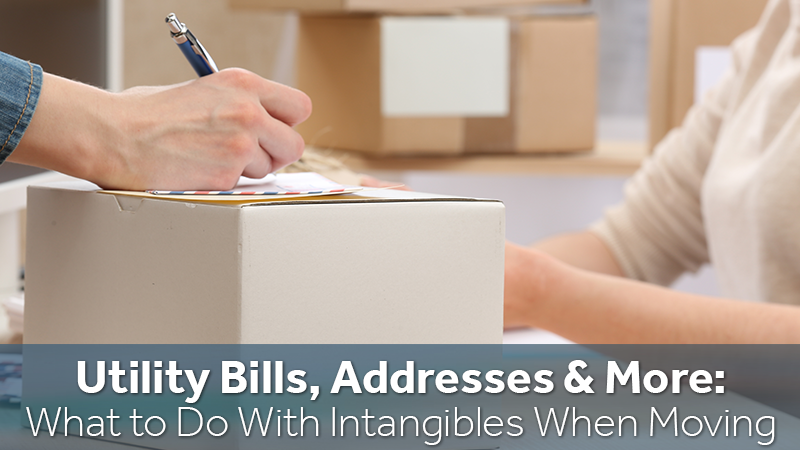 Stuff an old phone or business directory into your household bill box – just in case you need some old addresses. You’ll be glad you did if the need arises. Moving from one address to another can get complicated. Use these tips to keep the non-tangible parts of your move organized, and contact Zippy Shell Moving & Storage to take care of the heavy lifting!